Pilgrimsleden Värmland is a trail that runs from the border of Västra Götaland in the south, goes across Värmland, and ends at the Norwegian border in the north. This trail is also part of my alternative E1 trail system, The Troll Trail. This guide covers the section from the Edsleskog Loop to the southern end of the Glaskogens nature reserve, hiking northbound. This section is about 50km long--from the first trail shelter to the last one of this trip--but can vary depending on how you hike it. 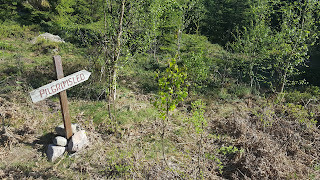 There are areas that are not marked or poorly marked, and much of the trail markers are very old and rundown. 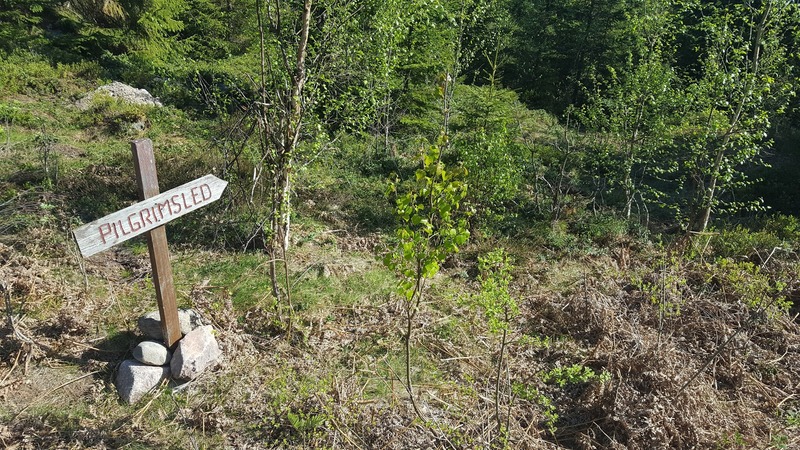 In general this is a trail less taken, and this can offer certain benefits, but the trail itself at times is in dire need of trail maintenance. 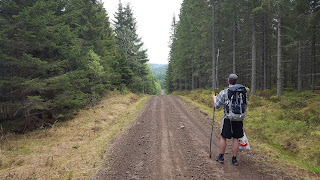 But overall it was quite a nice hike. 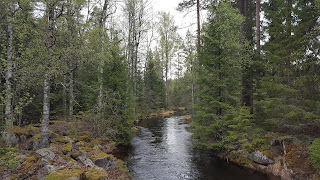 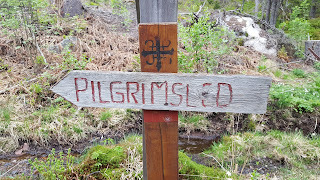 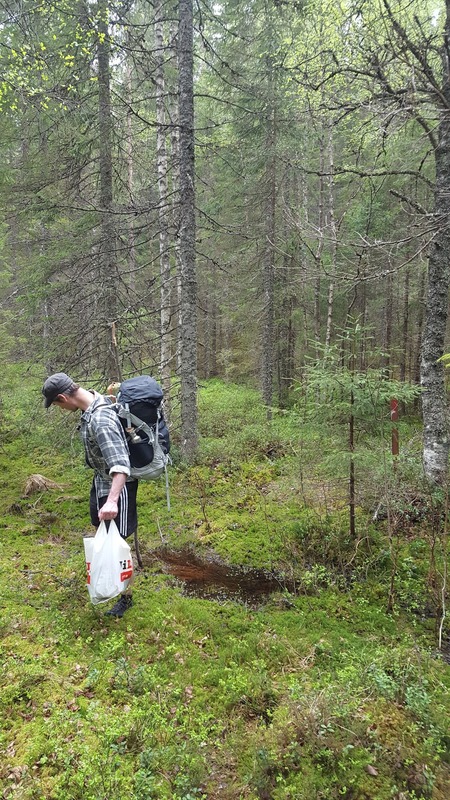 Researching Pilgrimsleden Värmland presented some challenges, as there are different versions of the trail, along with side trails, and all of this can be confusing if you try and Google up info. My advice is to stick with maps and compass and be prepared for occasional bushwhacking and a few surprises along the way. There are plenty of roads around--from abandoned lumber roads, to dirt, to gravel--but thankfully not much pounding on asphalt. So while there is a fair amount of road walks, much of it is pleasant and woodsy, and there's also a good amount of hiking on forest trails. Water is plentiful, with several ideal sources around, such as cold, clear springs flowing straight out of the ground or the side of a hill. 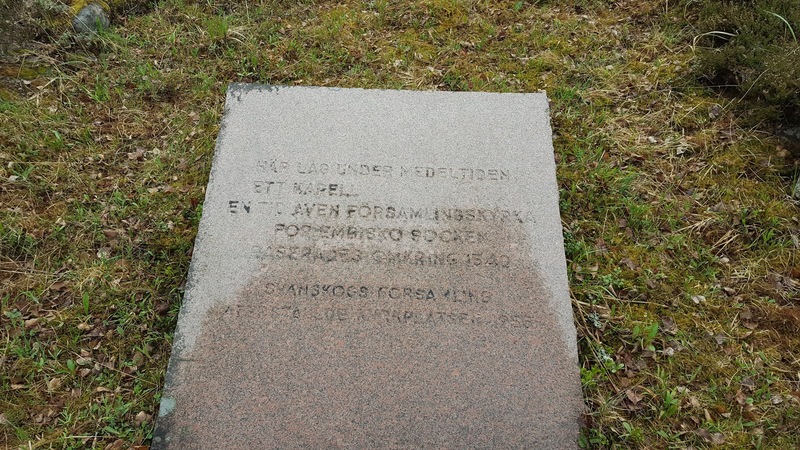 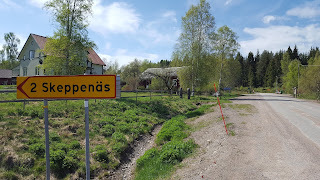 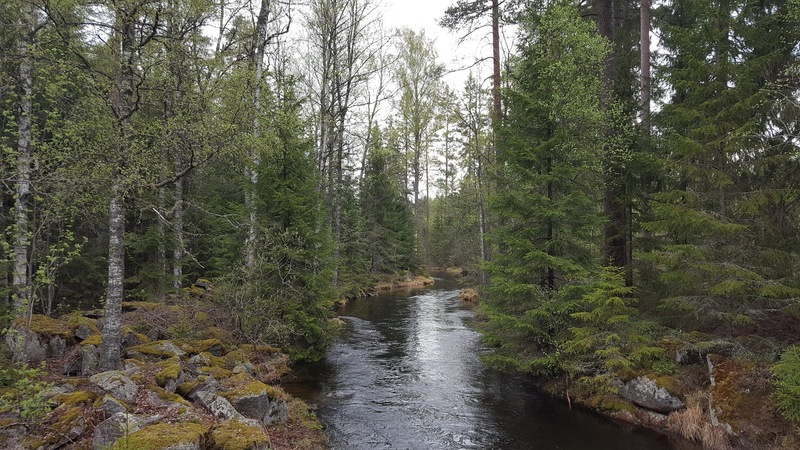 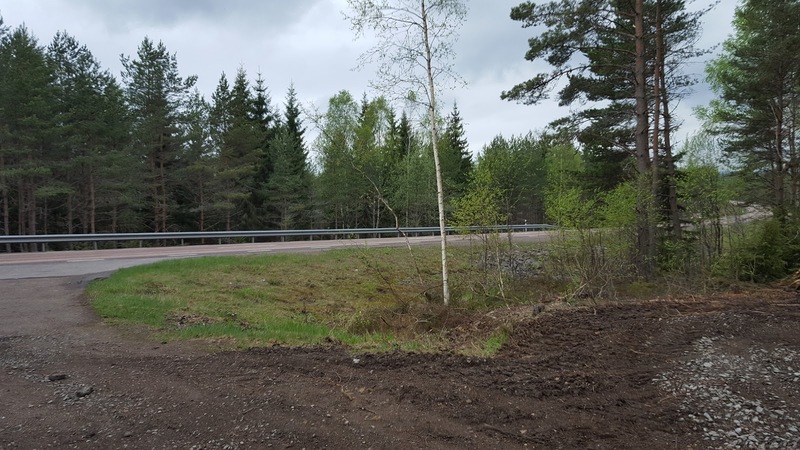 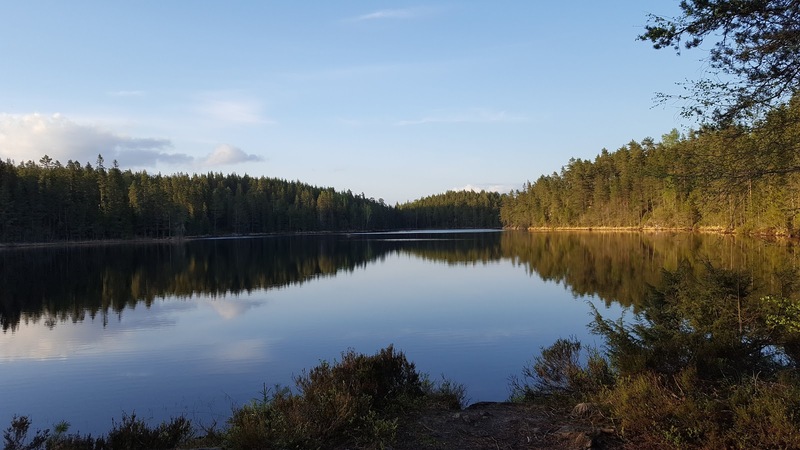 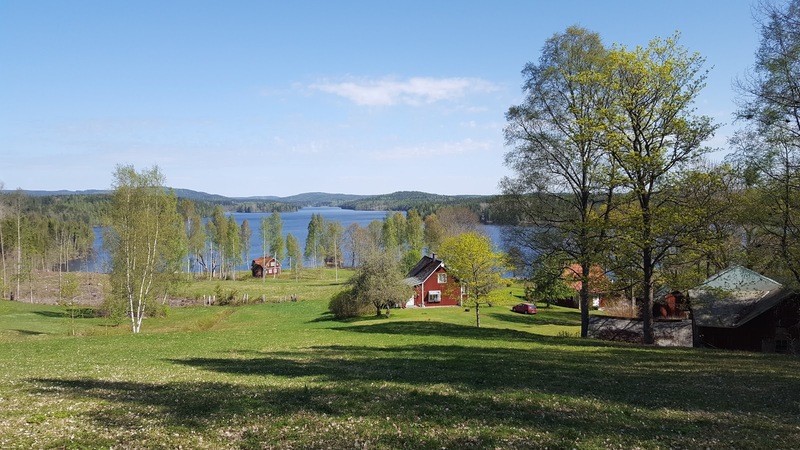 There is also a convenient entry/exit point close to the southern end of the Glaskogens nature reserve, which is the E18 highway that has bus or hitchhiking connections to the town of Årjäng in the west and the city (and capital of Värmland) of Karlstad in the east. 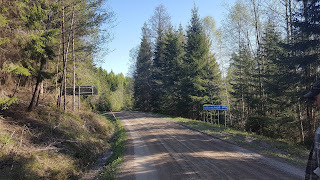 Check out Värmlandstrafik for more info. But if it's just food you need to resupply on, there are villages west (Sillerud) and east (Hillerström) with small supermarkets that you can walk or hitchhike to. 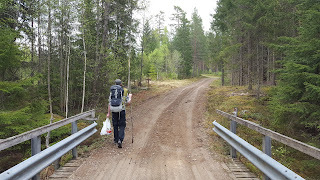 These two supermarkets are nearly equidistance in either direction from where you cross the E18, about 12km. Continuing northbound, the Pilgrimsleden trail goes deeper into Glaskogens nature reserve, where it splits into one trail going north and one that goes west. 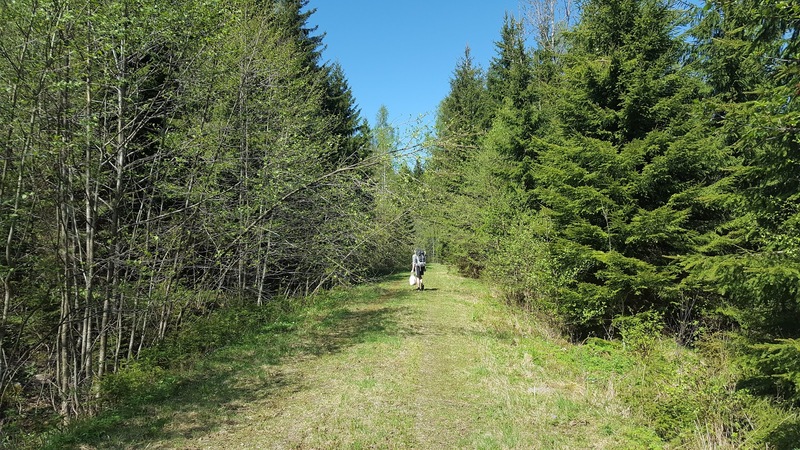 However, there are other trails that intersect and overlap with these trails. 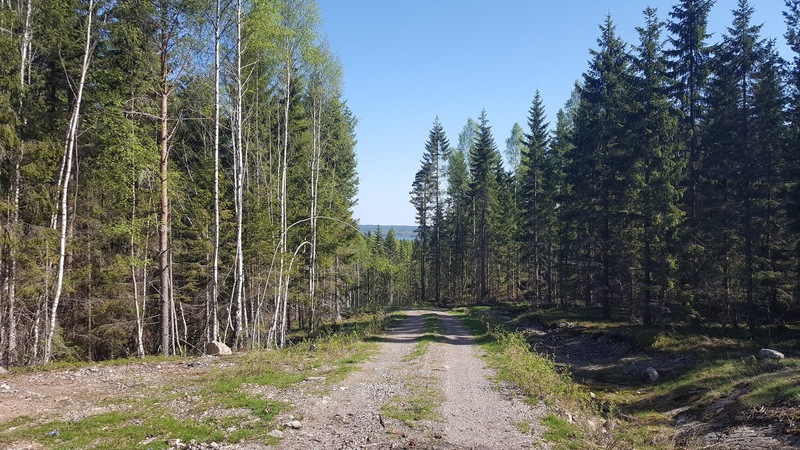 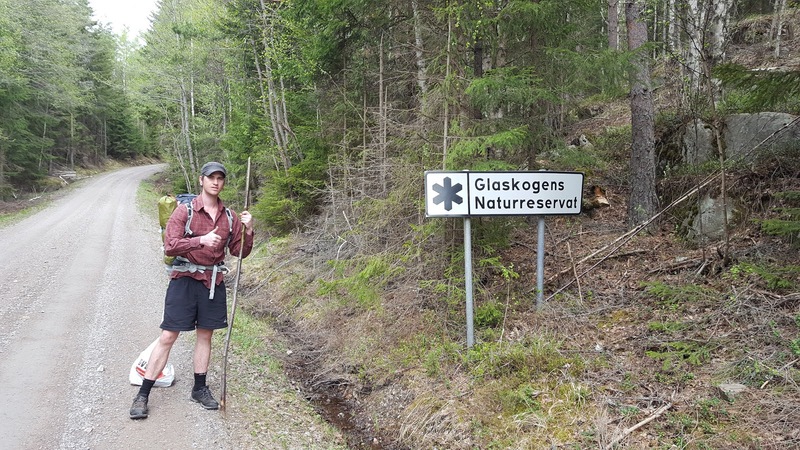 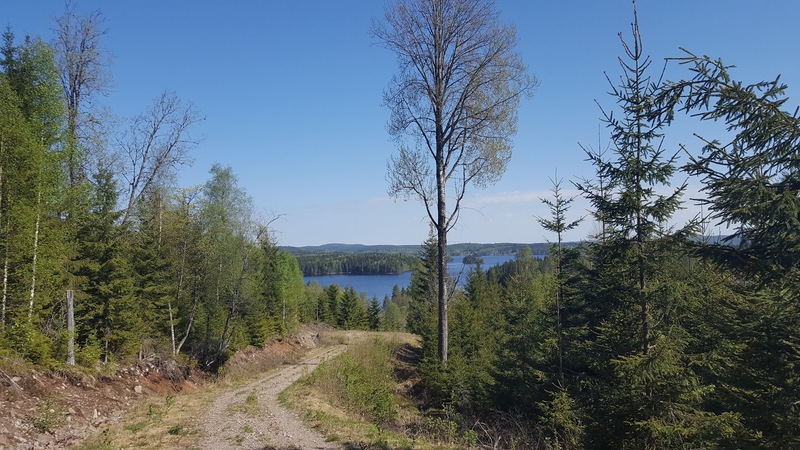 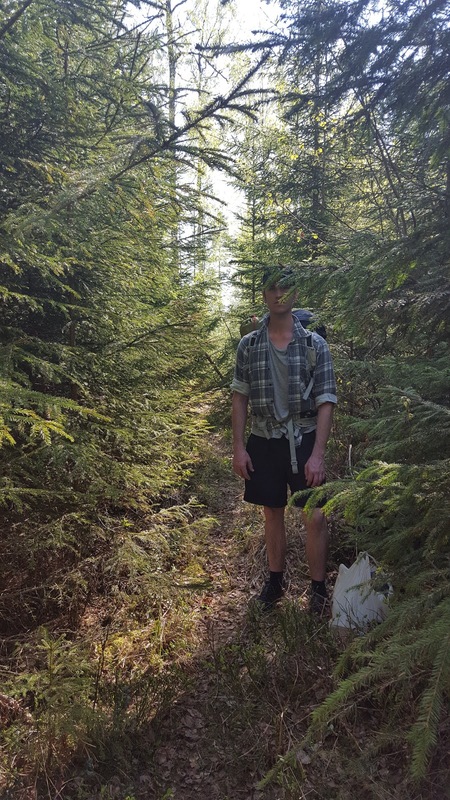 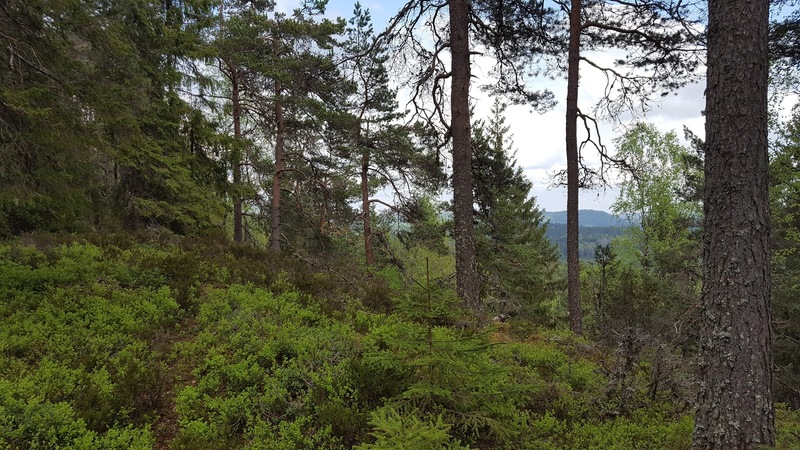 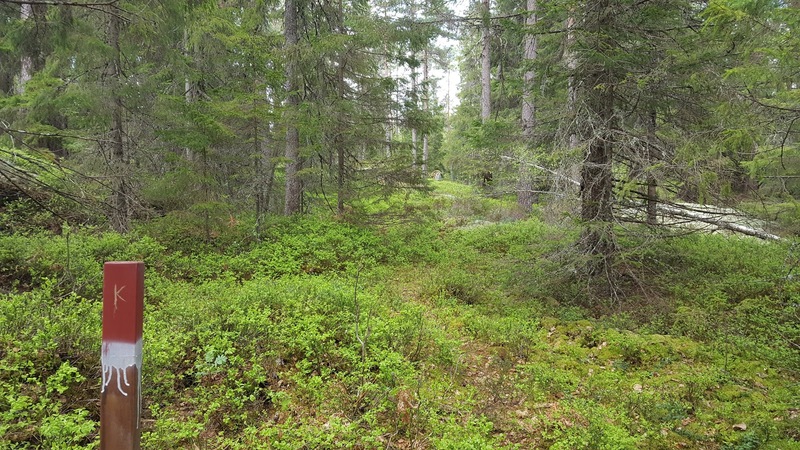 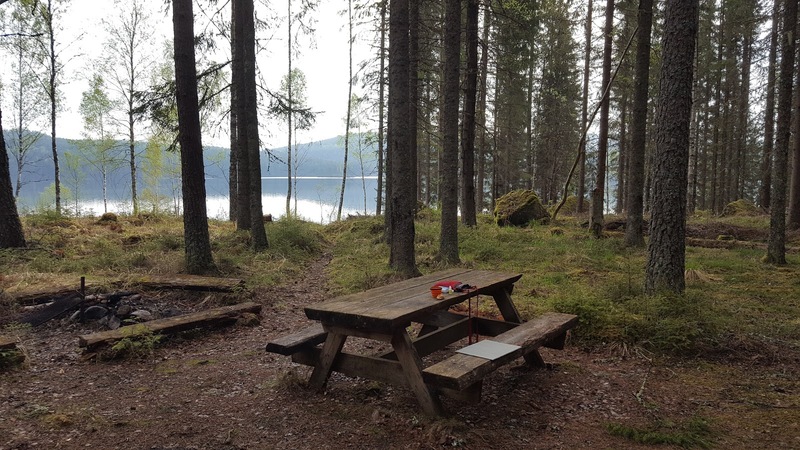 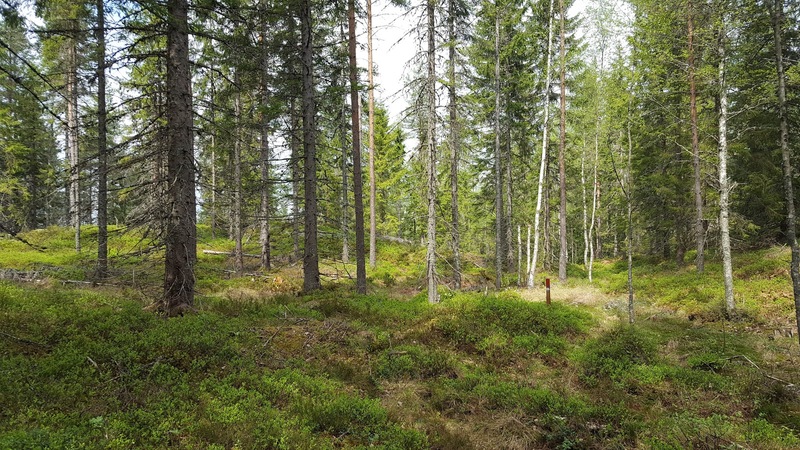 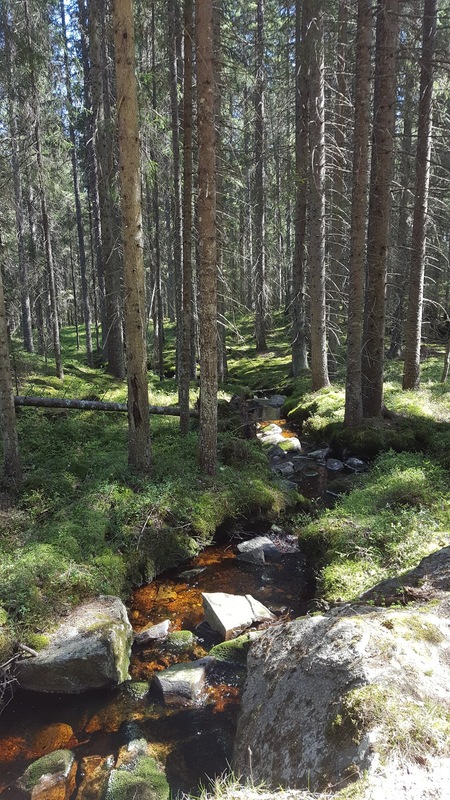 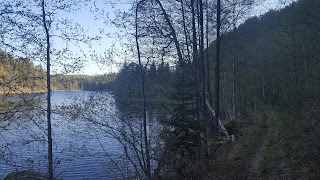 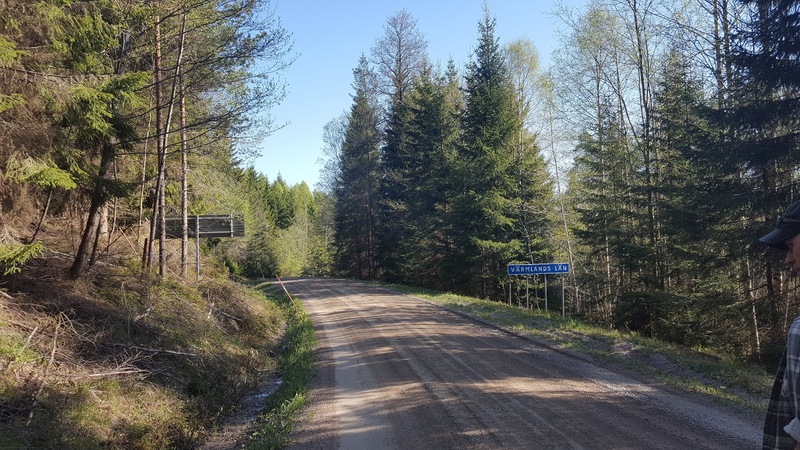 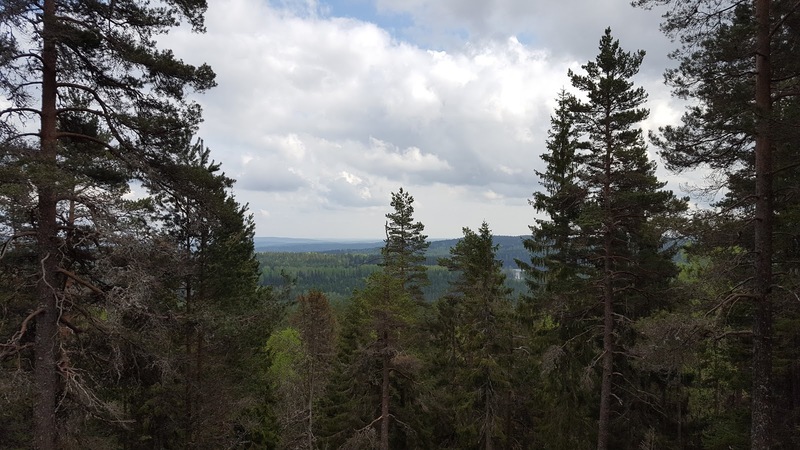 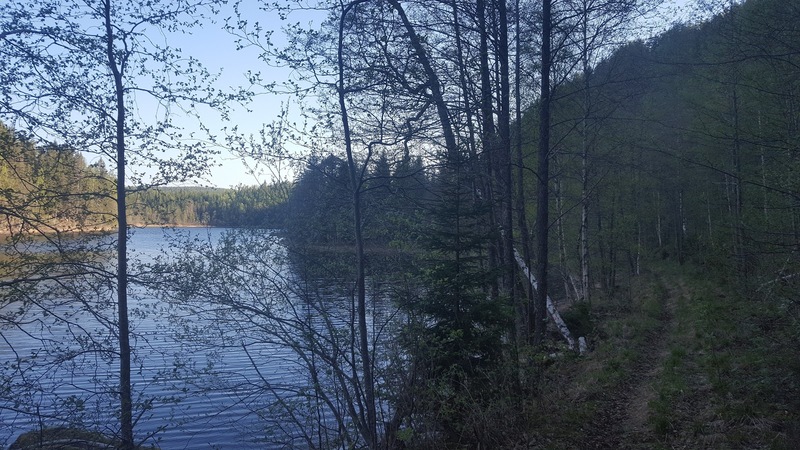 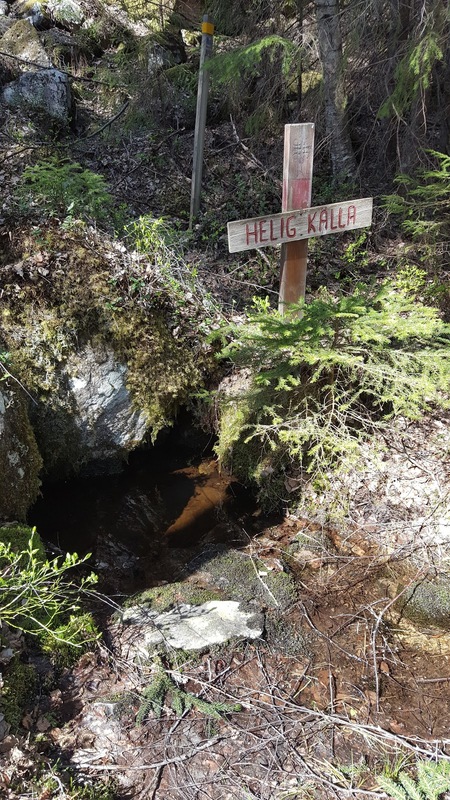 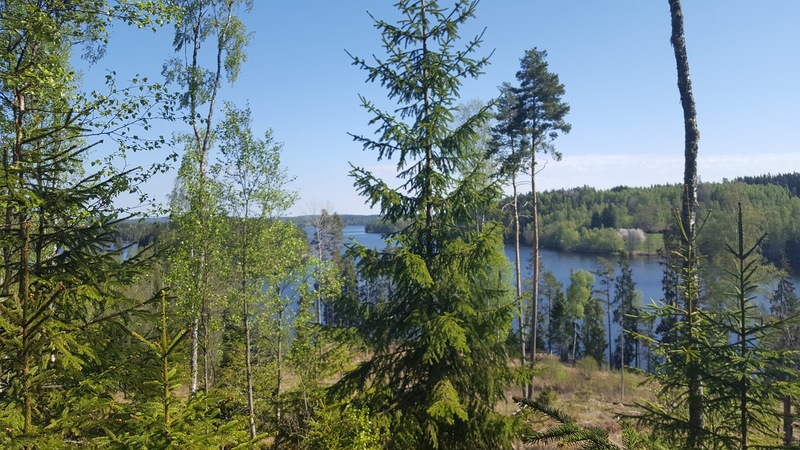 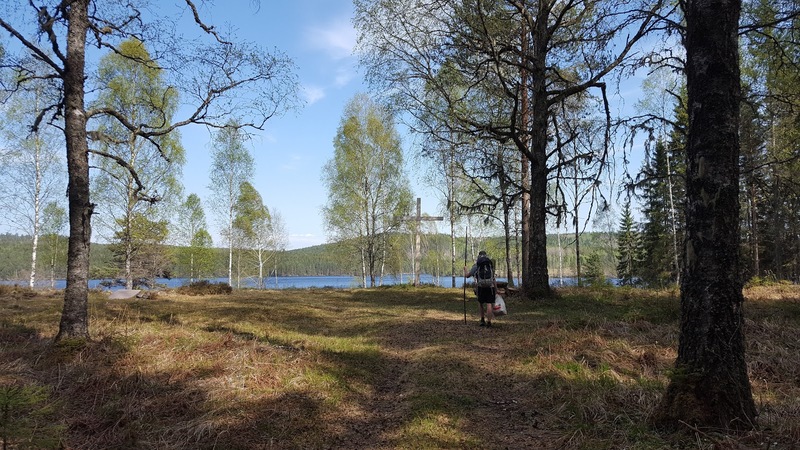 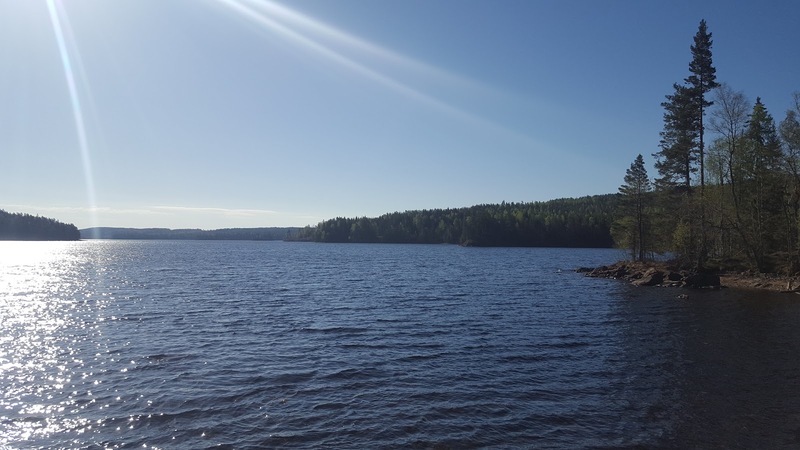 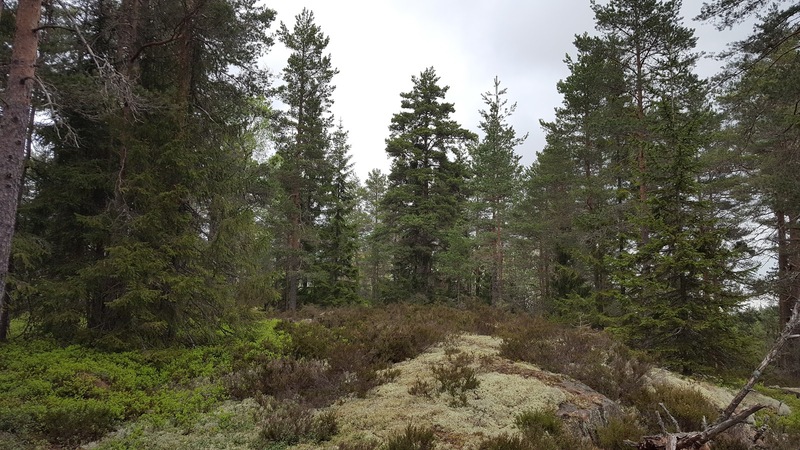 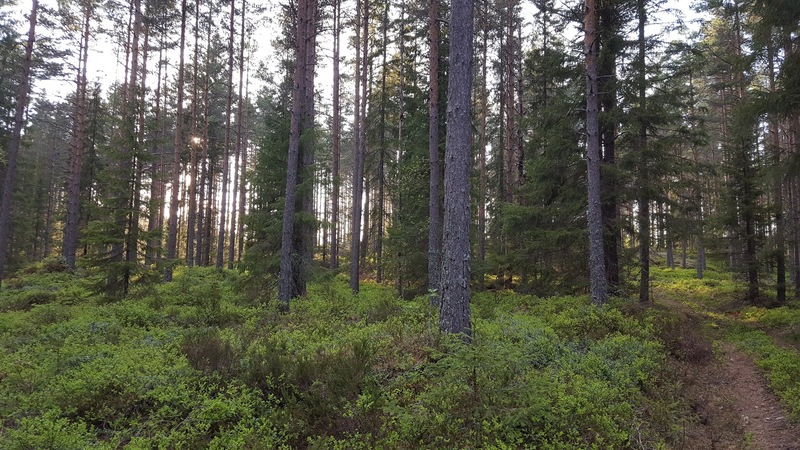 Glaskogen is crisscrossed with many hiking trails, lumber roads, and dirt/gravel roads, which makes for a "choose your own adventure" situation if you are doing a longer section hike or thru hike. 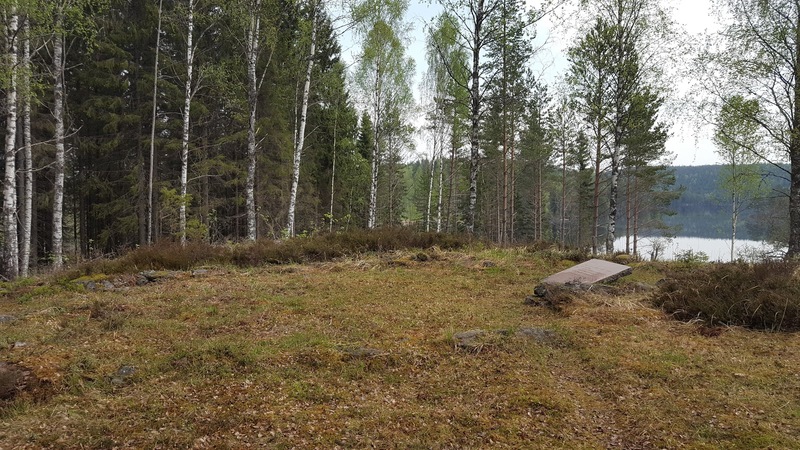 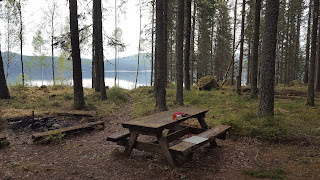 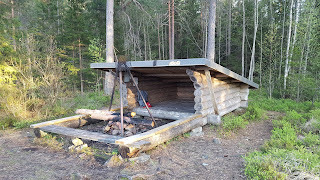 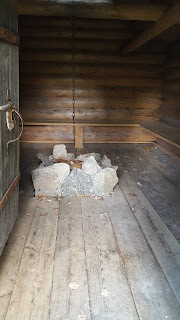 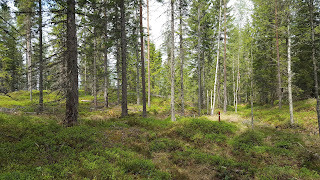 There are many trail shelters in Glaskogen, and in this section we also discovered a few unmarked and good quality trail shelters on the way to the reserve. 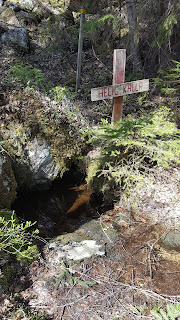 There are also some ruins of ancient churches along the way, which makes me wonder just how long people have been hiking this trail, and how old this trail could be. 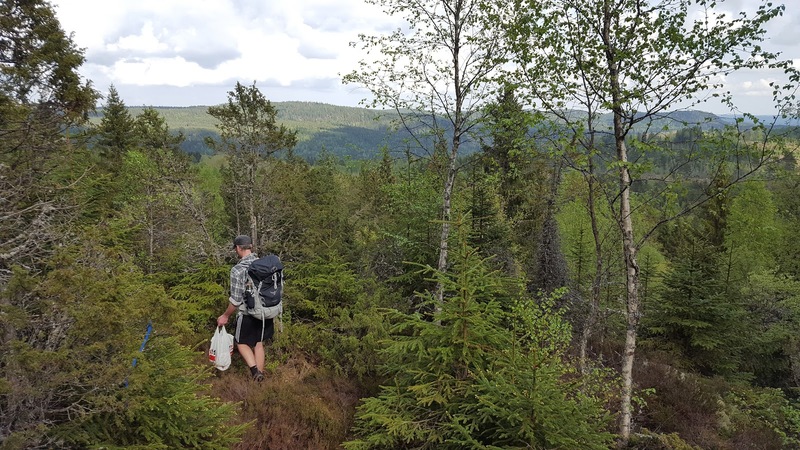 My friend Ryan and I set off on a four day trip to hike this section during a particularly beautiful time in May. 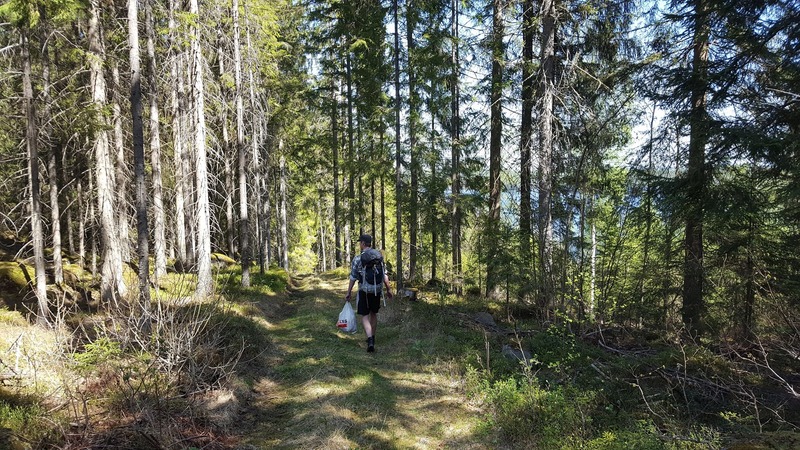 We really hit the hiking jackpot as far as conditions go, with sunny days, low amounts of bugs, and wildflowers in bloom. 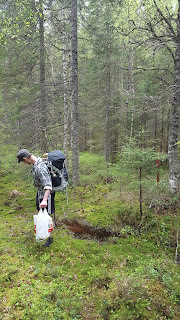 We were not as lucky with the conditions of the trail at various points, but we were able to deal with it. This required a bit of rough bushwhacking at times, but some of this can be avoided, however, as I will explain later. 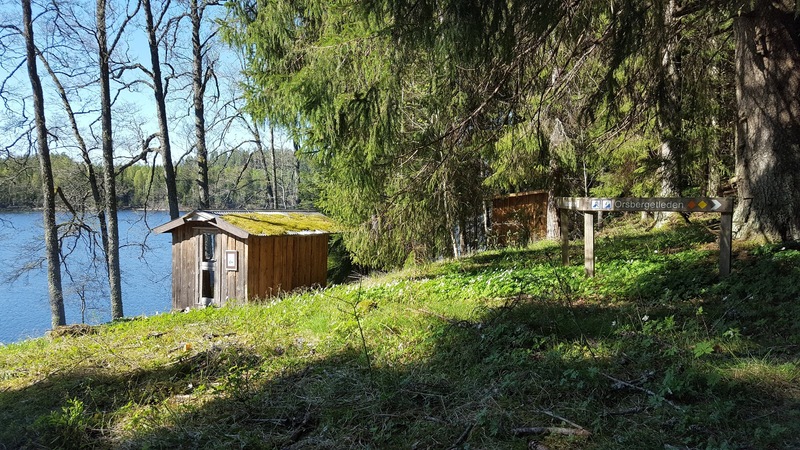 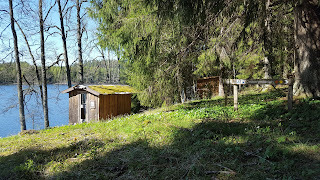 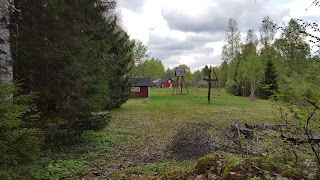 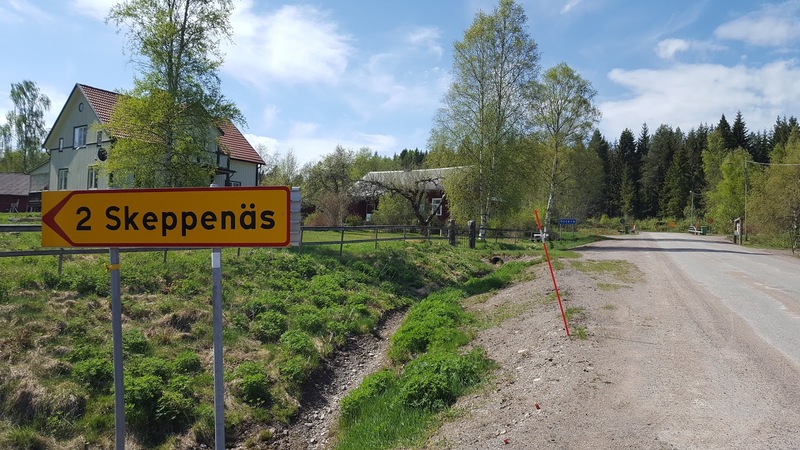 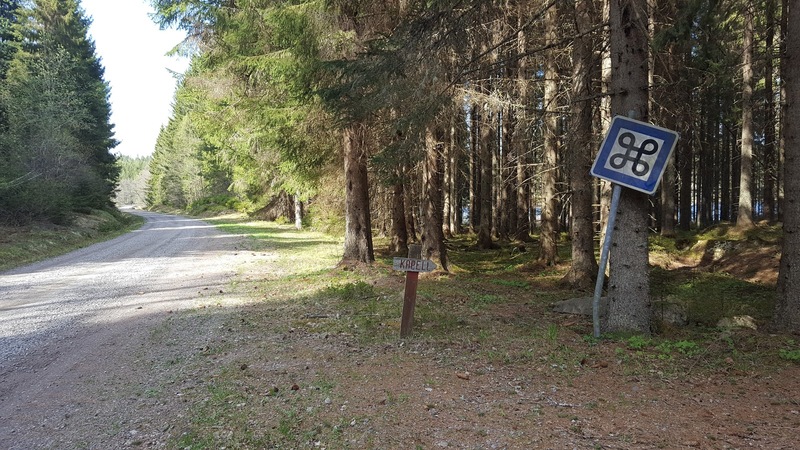 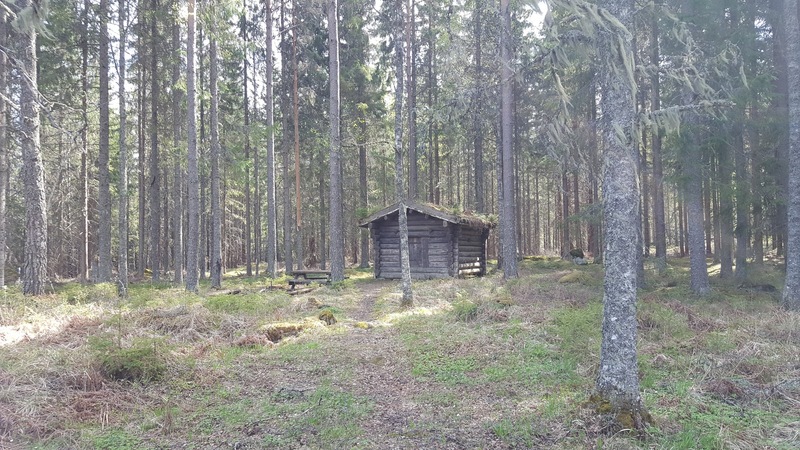 We spent our first night at the lovely little cabin at the north-west end of the Edsleskog Loop, and the next day continued north to a gravel road that wraps around the north and west parts of the big lake Ömmeln. 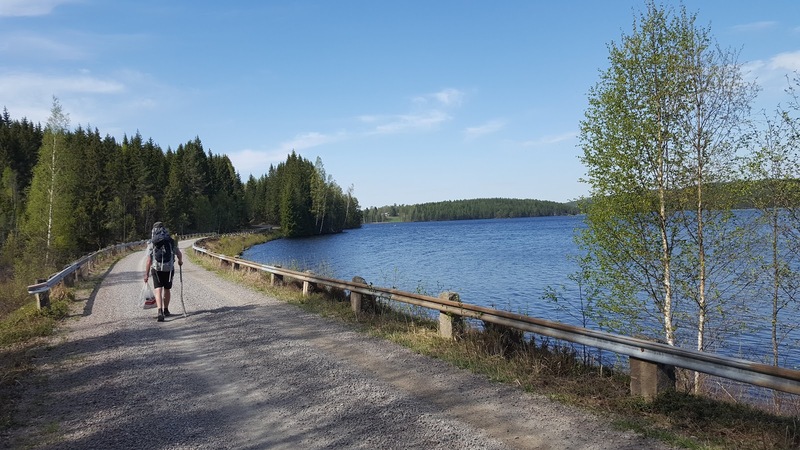 At the hamlet of Bollsbyn one can continue to hike east to rejoin with Pilgrimsleden, or turn onto a dirt road going north which also intersects with the trail after about 2km. 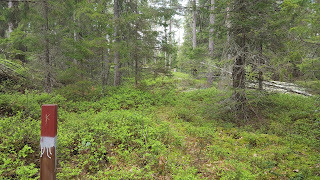 We choose the north road and soon found the trail, and immediately noticed how old and unmaintained the trail was. 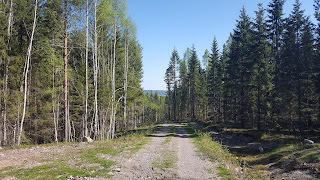 We considered following the dirt road north, but we were itching to get into some deep troll woods. 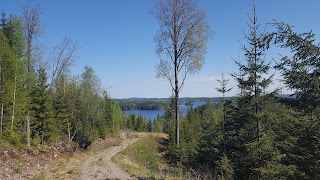 In retrospect, we agreed we should have taken the dirt road instead, as eventually trail markers disappeared altogether and we had to do a bit of rough bushwhacking to get back on track. 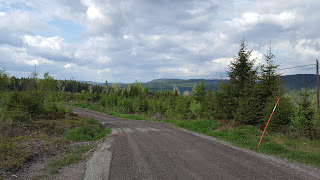 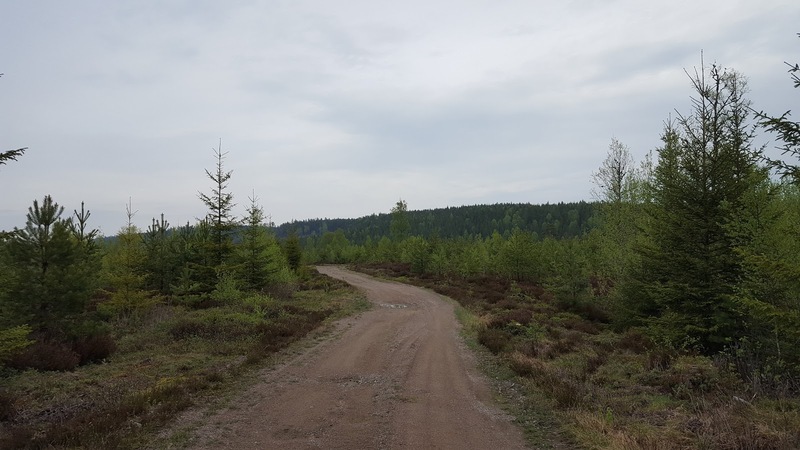 So I would recommend just sticking to the dirt road going north running more or less perpendicular to the trail But eventually we made our way to the farm of Norane, and lovely woodland trails finally awaited us, followed by another gravel road north. This road passed a few farms and a few rivers, and trail markers are few and far between (if there at all). 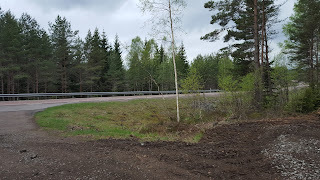 But it's a straight shot north towards the highway, and 5km from the highway we found a pleasant surprise. 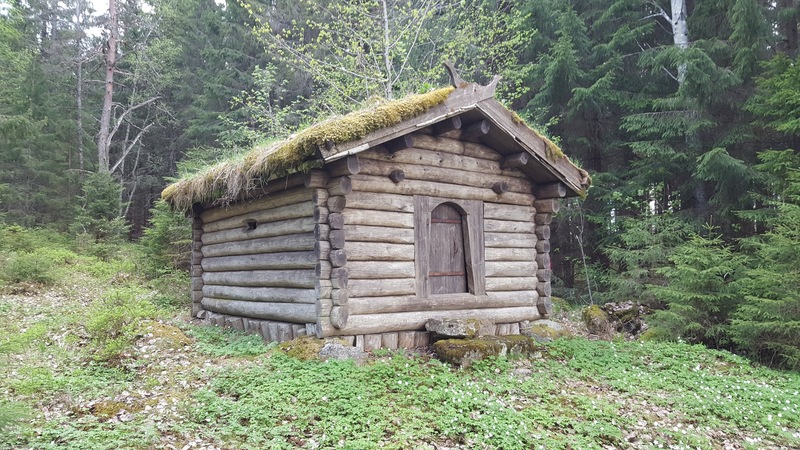 There was an excellent campsite at Kyrkudden that had a cabin with an indoor fireplace, an outhouse, and picnic benches. 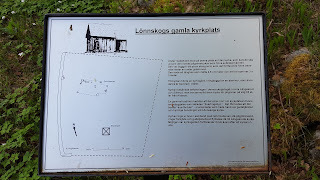 Also at the campsite were the ruins of a very old church. 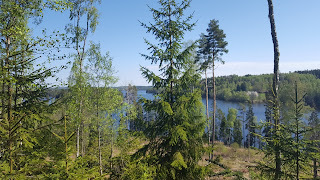 All this overlooks the large and beautiful lake of Ämmeskogsjön, and there is a path to the shore that would make for a good swimming spot or to fill up on water. 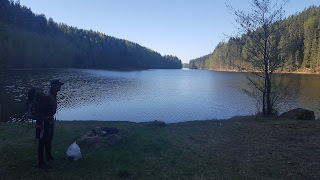 However just 500m south of this campsite there is a stream that flows into the lake, if you're a water snob and want even fresher water to drink. 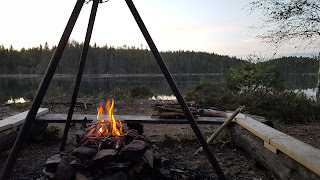 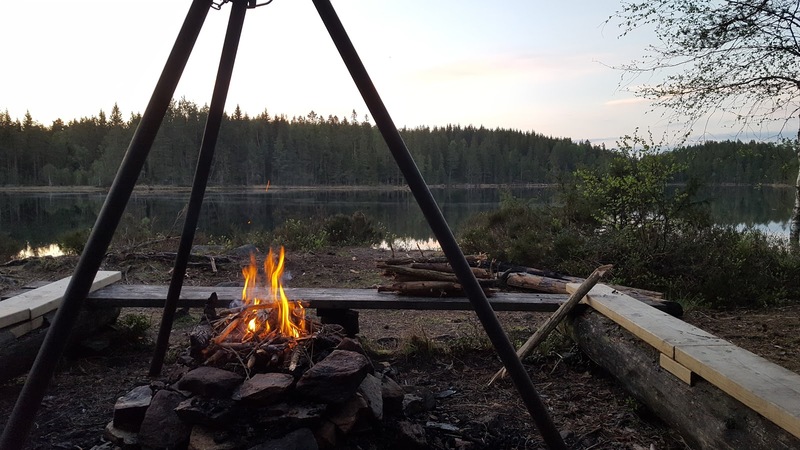 We spent the night in the cabin and agreed that this was one of the better campsites we've slept at before finally crossing the highway and making our way into Glaskogen. 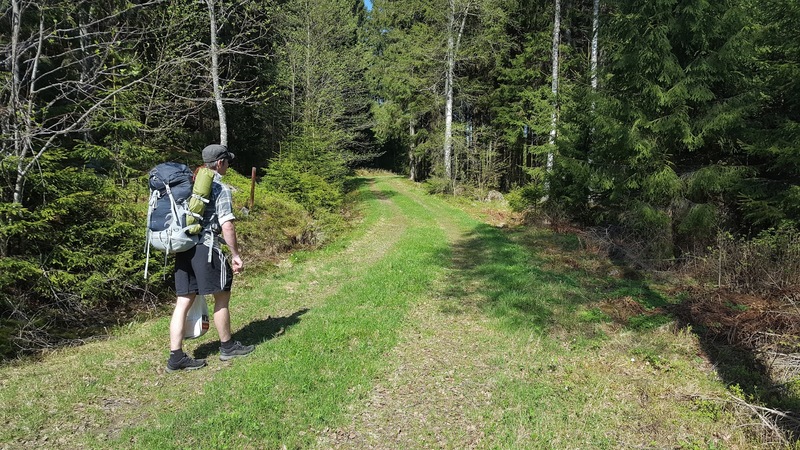 Be warned that yet again trail markers are going to be an issue, as there are parts of the trail leading up to Glaskogen that are quite poorly marked and maintained. 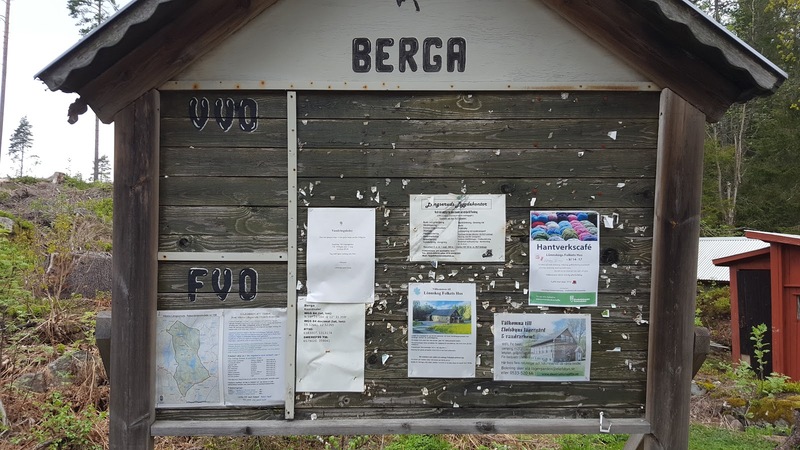 Specifically past the hamlet of Berga, where the trail goes up the beautiful hill Korpberget. 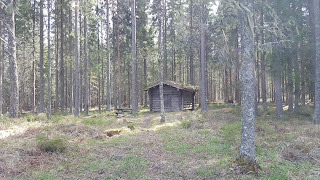 After more bushwhacking, we eventually found another unmarked trail shelter near the hamlet of Lönnskog. This shelter was very similar to the one we just slept at, but it's hard to beat the last one's location. 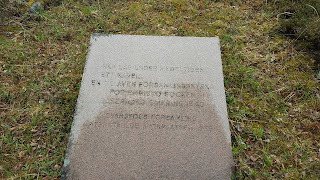 There were also more church ruins. 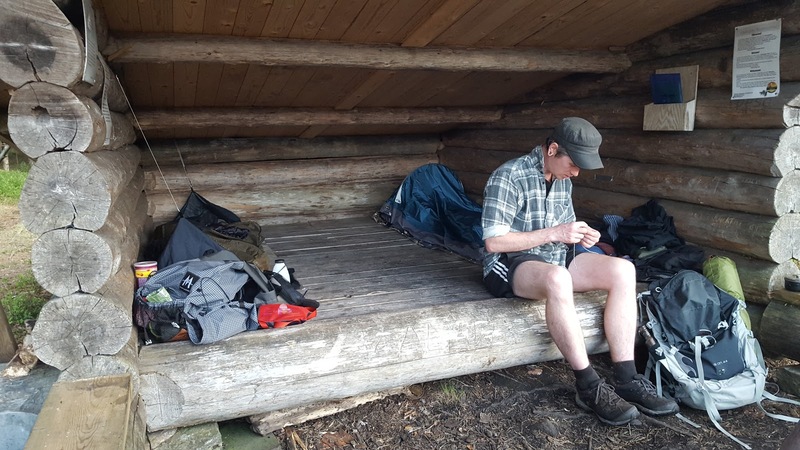 After we got closer to entering Glaskogen, we decided our goal would be the trail shelter at the small lake Sandtjärnet for our last night of the trip. 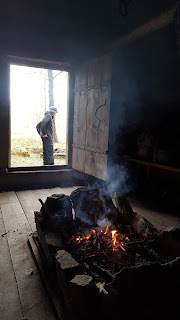 It was a nice lean-to shelter overlooking the lake and had a nice fireplace as well as an outhouse. 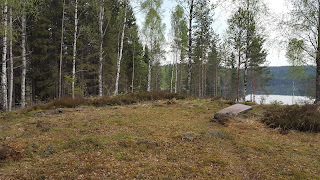 The lake was quite shallow and full of very slippery, algae-covered stones near the campsite, which didn't make for a very good swimming spot. 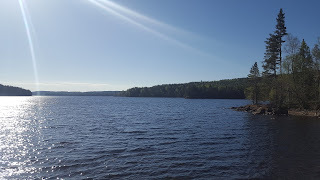 But there are plenty of other lakes around for that. 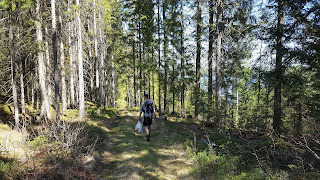 The next morning after breaking camp we hiked back down to the highway and then to the supermarket at Sillerud for some snacks. The buses were not running very often (it was a weekend by this point), but lucky for us we were able to hitch a ride to Karlstad. 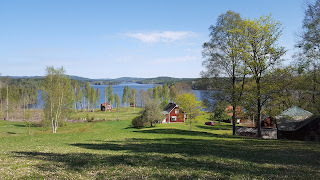 Karlstad has connections to many other cities such as Stockholm or Göteborg, and it seems like a nice little city. 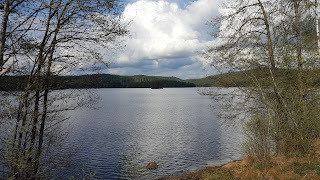 Ryan and I agreed to come back and continue to explore Glaskogen. 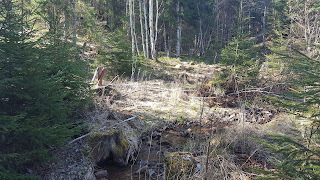 The little bit of exploration we did of this nature reserve proved to be quite nice, so we're looking forward to spending more time there. 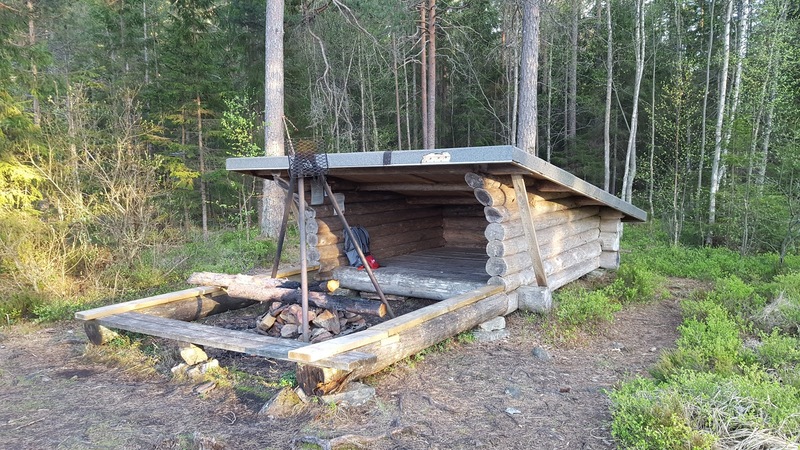 The place is pretty big (280 sq km), and as I mentioned in the introduction, there are all sorts of trails and shelters within the reserve. 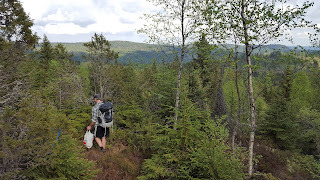 The tentative plan for the next section hike here will be to hike across the reserve from the eastern side to the western side, picking up where we left off at the shelter we stayed at.